Absolute Property Services assists in a wide range of property maintenance and is currently offering professional sealcoating service. All of our sealcoating is applied by highly skilled professionals that only use premium quality seal coating products to ensure long lasting durability. 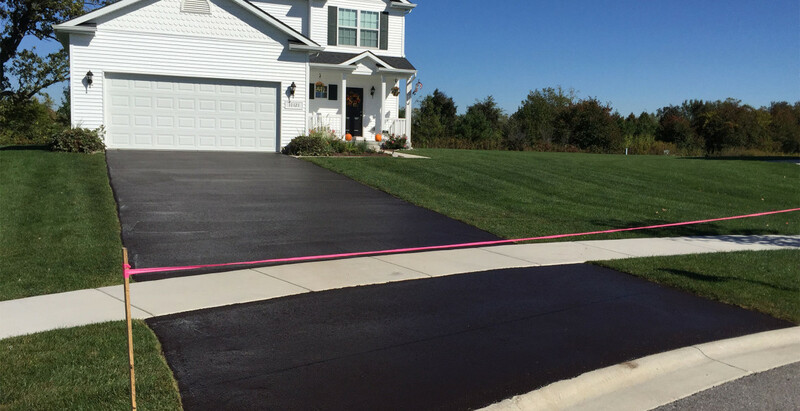 Our sealcoating professionals are proud to handle any residential or commercial pavements from small drive ways to large parking lots and more. Our seasoned team of experts are dedicated to quality so you can rest assure knowing that your property will stay looking beautiful for years to come. Along with sealcoating, we also offer landscaping services including fertilizing, aeration, seeding and much more. We can handle any outside property maintenance and have the professional resources to properly complete any job. Contact Absolute Property Services for your free estimate and let our friendly, expert staff help you achieve a wonderful looking property. Absolute Property Services is Schererville, Indiana’s premier landscaping specialist with an experienced staff that is committed to quality and complete customer satisfaction. We understand how you value your property and love to come home to a gorgeous landscape. Outside property appearance is crucial in the business world. When customers ares attracted to a commercial landscape, they tend to do more business and stay loyal because the commercial property looks professional. We offer exceptional work at competitive rates, packages and more. Copyright © 2019 Absolute Property Services.